Penetrating the job market is a major challenge for lots of career seekers today—and military Veterans can often have a particularly rough road ahead of them. If you’re a Veteran of the U.S. Army, Navy, Marine Corps, Air Force, or Coast Guard, it’s fair to say that you could face some more extraordinary challenges in the career world than the average civilian. Are you one of the 4.9 million Veterans with a service-connected disability? How about one of the 370,000 who are unemployed? Maybe you’re one of the countless others working in a civilian job that seems to be failing you in so many ways. It’s a rather disheartening reality: You dedicated yourself to a higher cause for so many years and now, you’re just supposed to assimilate back into society. You may even be feeling limited by duty-related injuries and non-transferable military skills. You’re not alone. So how do you pay the bills and support your family without losing yourself along the way? What can you do to avoid feeling like you’re starting all over again—without direction, without passion, without any real excitement over the jobs at your disposal? For starters, get real for a moment. You have an immense amount of value to offer the civilian workforce, although you may not see it clearly yet. These strengths can empower you to achieve real job satisfaction and career fulfillment, even if the work is not what you might immediately deem as being “in service” of your country. Recognize that doing any good work serves your country in a meaningful way. This is especially true in the field of personal and professional coaching. If you haven’t given much (or any) consideration to this opportunity, take some time to think about the serious potential in this post-military career path. There’s a superpower shared between military Veterans and professional coaches, and that’s the deep inclination to serve and lead others. Leaving the military does not mean you leave your values and aspirations behind—those elements are part of you. They should be celebrated and exercised, regardless of your military/civilian status. As you transition from a military job to a civilian one, there can be an unshakeable feeling that something’s missing. You’ve probably found there are plenty of roles that just don’t fit your need to serve others in a meaningful way. The professional skill set of coaching opens up limitless possibilities to satisfy this inner purpose and enhance your leadership and communication skills. Coaching in these specific categories can actually relate back to your own experiences in the military. The military cultivates and grows leaders, which means you experience both the process of being coached and mentored as well as the responsibility of coaching and mentoring those you lead. And it's not just duty-related. 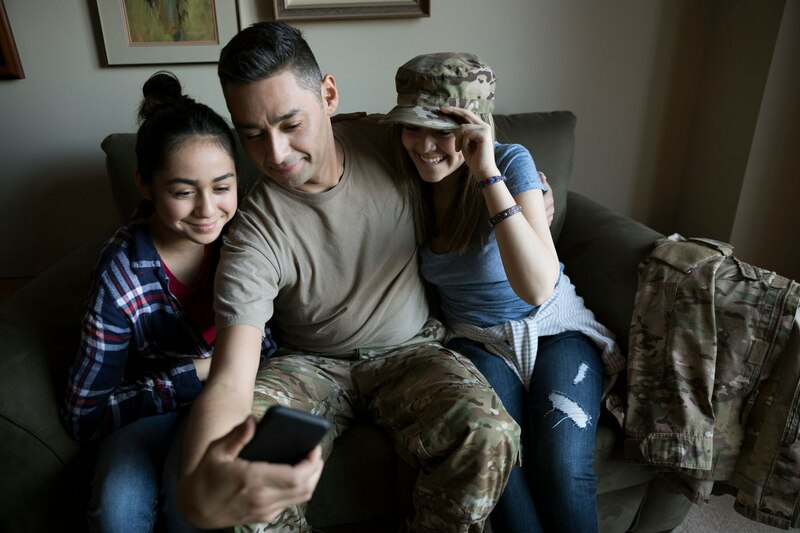 When military members are away from home and their traditional support networks, they band together and become a family in many ways—dealing with issues like finances, young families, social problems, grief, and loss. The acquired mentality of “caring for your people so they'll care for the mission” transitions quite successfully and meaningfully from military life to civilian life. If you connect with people and feel called to effect positive transformation, your military background and service mindset make you a top resource for people struggling in various aspects of their lives. By providing them with the motivation and insights to reach their dreams, you honor your own sense of duty to others—in a way that brings purpose and focus back into your life. No matter the branch, rank, or job specialty, the lifestyle change that comes with leaving the military could be a difficult one to navigate. You’re finally in a place to set your own direction—whatever and wherever that may be—rather than cater to the locational and structural demands of military life. You don’t have to move around anymore if you’d rather set down roots. You can stay close to home and family instead of spending precious time away from the people you care about most. As a coach, you’re empowered to embrace that freedom wholeheartedly. While other career options may bind you to work and travel requirements that restrict your flexibility, the coaching profession enables you to call your own shots, set your own schedule, and design your own future. Even if you don’t choose to become an independent business owner, you can still leverage coaching skills to build the kind of professional momentum that affords you the income and autonomy you desire. Coaching is an opportunity to create lasting, meaningful change in individuals and organizations, which is an extremely valuable commodity—one rewarded considerably by many employers. To acquire the tools and education you need to become a successful coach, it’s critical to enroll in a credible coach training program. Of course, like most adult learning pursuits, there is a tuition cost involved, and many Veterans assume that paying for it just isn’t in the cards right now. But that’s not necessarily the case. Certain coach training opportunities qualify for government funds. iPEC’s program is approved to accept the GI Bill for Chapter 31: Vocational Rehab and Chapter 33: Post-911 GI Bill. These resources may be able to cover some or all of your coach training tuition. In addition, iPEC offers a number of payment plan options, including student loans that can make payments as low as $150 per month. Your next question is probably: “What about the time it takes to start making money?” Frankly, you have bills to pay and one or more mouths to feed, so thinking about the long-term financial plan is essential. The good news is that you can work a full-time job while completing your coach training coursework. Plus, you’ll be fully equipped to start taking on clients after just the first three-day iPEC module. In fact, 85% of our students have paying clients in place by the time they complete the curriculum. And Forbes recently affirmed that coaching is now a billion-dollar industry, which means there’s ample opportunity to turn this passion into a lucrative profession. They say where there’s a will, there’s a way. And you have both the will and the way to overcome the obstacles that stand between you and a more fulfilling civilian career. If you’d like to find out more about why coaching is a top option for many Veterans, or what steps you can take to embark on a successful coaching career, schedule a one-on-one session with an Admissions Coach. Get the conversation started and get on the path to doing the kind of work you love.